How Do I Stop Dry Lips Quick?! Many of us suffer from dry lips all year round but it seems to gets worse in the winter! Let’s take a look at how we can make our Lips nice and smooth for Christmas! 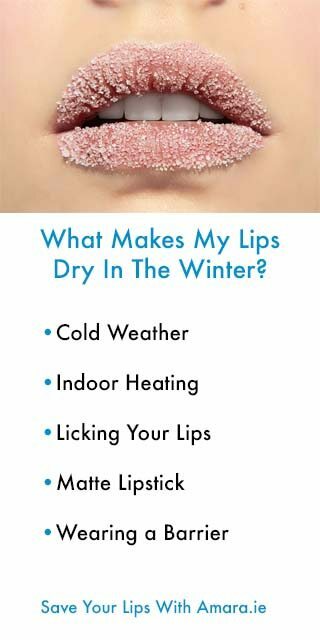 Why do I Get Dry Lips In Winter? Cold air holds less moisture than warm air and as a result is dryer. Usually with moisture in the air our lips can absorb it however the cold just dries them out. Indoor heating also dries out the air and going from the cold air outside to the dry heat inside can be a bit of a shock to our skin. The indoor heating can also dry out our mucus membranes preventing our lips from being naturally moisturised. In order to get the look, matte lipstick is naturally dry compared to gloss which can be moisturising to your lips. Matte lipstick is also more popular in the winter as it tends to be darker colours. You lick your lips when they’re dry to make them moist however your saliva is actually drying them out! The saliva contains digestive enzymes which ware at the protection on your lips making them vulnerable to the environment. You’re using a Lip barrier not a balm. Barriers such as petroleum jelly don’t actually add moisture to your lips, though they do protect them from the environment. 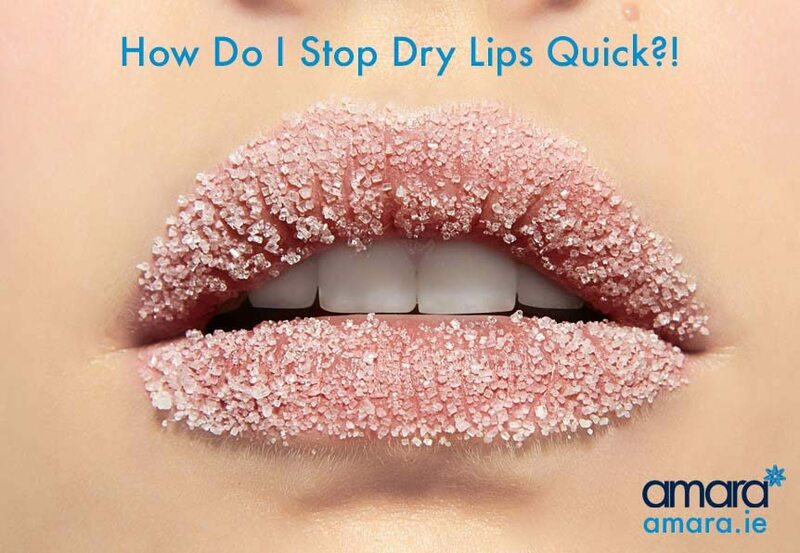 How can I Stop my Lips from being dry? It’s important to use a moisturising balm all year round but particularly during the winter. Exfoliating your lips will also help renew them and removed the dead skin. What is the Perk Lip Treatment? The Perk Lip Treat is a 2 step hybrid facial for your Lips! You get to take home the serum that was used in your treatment. The serum made with peppermint oil keeps your lips moisturised and plumped for the next 30 days until it runs out. How often should I get the Perk Lip Treatment? Ideally the Perk treatment is done every 30 days to keep your lips in top condition particularly during the dry winter months. As the treatment is so quick many people like to add it to their HydraFacial Treatment or experience the Perk Eye and Face Treatments at the same time. All Perk treatment are first experienced in the clinic and then taken home to extend the treatment. Are you suffering from dry skin or winter lips? Book in for Perk treatment now or add it onto your current booking!